Winter break or winter windfall? Leave a Comment on Winter break or winter windfall? I WAS recently at Soccerex in Manchester and listened to the “vision” of the Football League. I wasn’t sure exactly what that vision was other than people are engaging in dialogue, but something that came out was the recalibration of fixtures to allow for a winter break. We hear a lot of mumbling about the possibility of a mid-season holiday, perhaps after the Christmas period, and at the highest level, it has some credibility. But mention it in non-league circles and the response is mostly negative. Why? Pure and simple, non-league fans don’t like anything that gets in the way of their habit and clubs need to keep the cash flowing. But when the weather gets really cold in January and February, arguably the most miserable time of the year, those bone-numbing evenings under floodlight do deter some people from a trip down the road to see Ham & Egg Sandwich Albion take on Stilton Cheese Rovers. I grew up in a time of muddy pitches, ballet-dancing players on frozen pitches and spray flicked up as balls tried to roll on a sodden pitch. Today, that famous photo of Tom Finney slaloming through water would never happen – the game just wouldn’t take place. Mud was great, actually, the child in me thinks it still is, but today we get the “match off” sign when the pitch is a little squelchy. It was the “great leveller” and we saw some cracking games on mud-bound pitches. Not today, though. When you see players tip-toeing on a muddy pitch before a game, you know they don’t really fancy it. We don’t see much mud on Premier or Championship pitches these days, but at non-league level, you’re only one cut-up game from an unplayable pitch. With boots like slippers, and day-glo ones at that, it’s no wonder players can’t get to grips with a muddy pitch. Would a winter break reinvigorate the season for players, fans and playing surfaces or would the public get out of the habit in, for example, a two or three week break? I have often championed the need for an interval in the season to make spectating more palatable, but that’s probably because I’m getting older and find an evening sitting in a cold stand less attractive, despite the acquisition of thermals, boots and polar expedition equipment. But the economist in me suggests that non-league football might want to leverage the benefit of top level football having a winter break. Just suppose that the Premier does have that early year interlude that allows Messrs Klopp, Guardiola, Mourinho and Conte to take in the sun, get some intensive physio for their walking wounded and also secure those transfer window signings. While we are not being bombarded by the Premier, non-league could arguably benefit from bigger crowds. Handled properly and synchronised by the authorities, the Premier’s winter holiday could be a financial windfall for non-league football – a whole fortnight of non-league day! Ultimately, maintaining cash flow for non-league clubs is so important that to keep playing is what every club chairman and treasurer wants. 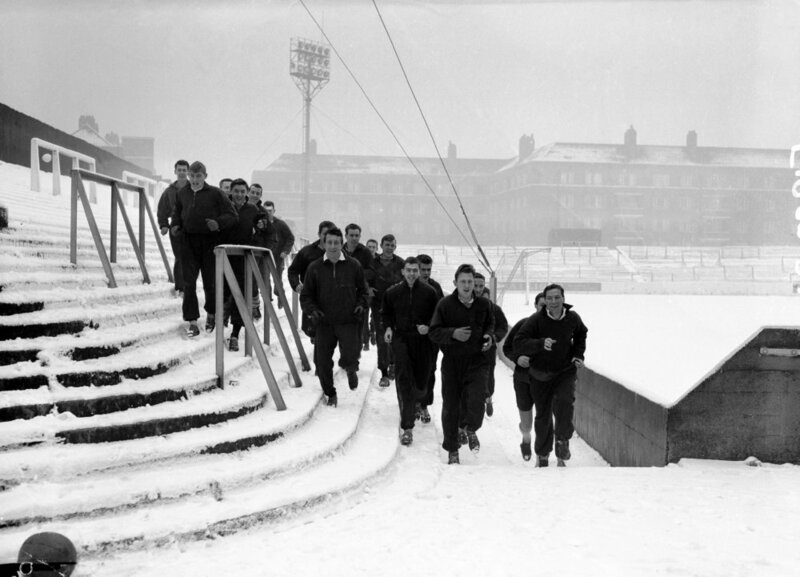 Nobody welcomes match postponements at a time of year when FA Cup and FA Trophy runs may already have been curtailed. In those circumstances, perhaps investment in ensuring games go ahead is the best possible decision a club can make to get through winter. Along with blankets for the senior element of the crowd, of course.